I am very much enjoying my journey here at WA. Many things that I thought were "over my head" are reachable with the training available here. I hope you enjoy the journey as well, I wish you the best. Thanks for following me, in return I'll do the same. Welcome to WA. Thanks for the follow! Looks like you've been with WA for awhile. Always looking to connect with members in WA! Nice to meet you! Yes, I have been here for some time. Life's distractions don't allow me the study time that I would like to have. I am finding that there are a lot of us grandma's who are single and working to build an on line business. Your idea of the granny blog is perfect, wishing you the best with it. I guess you found it, I wasn't on here yesterday. Hey Deb! Thanks for the follow. I'm now following you as well. Hi Deb and thank you so much for following me. I am meeting so many like yourself who have been here for quite some time. It is a pleasure to return the follow and learn and grow even more. All the best in 2018. Thanks for following me and allowing me to be a part of your network. Thanks for the follow and I agree with you that the training here definitely is awesome! Good luck and much success! Hi Deb, YEP..very much enjoying the journey! Like you said...some things seem to be a bit difficult, until it just clicks..then its easy! Have a great journey. Thanks for the follow, and I am returning the favor! It's nice to meet you, Deb! Thank you for adding me to your network. I have added you to mine as well. I look forward to working with you. Thank you for the Like and Follow. If I can be of any assistance, please let me know. Thanks for following me. I'll follow you as well. Wishing you much luck. Hi Deb, thanks for following me. I'm following you back. Thank you for following me and great to meet you, Deb! Great to see those like yourself who have been here awhile. It shows some stability for new people like me. Thanks for following me Deb. I will do likewise. All the best to you as you walk boldly in your success. Thank you Daniel, wishing you the best as well. I tried going to your site but I get the message that it can't be found. Thank you for letting me know that, seems odd because it has been awhile and if the site is not published then we get nowhere. I will look into that thanks. I guess it's a good idea to check each others every once in awhile just to be sure we are not the only ones who see our site ! Hi, Deb - Happy Holidays! Only found you recently, via your comment on this post of WaynePro's: Beware CCleaner Malware When I saw you'd joined WA in 2010 (June 7, 2010), I just HAD to come over and ask how your WA experience has been. What's it been like, being a member of WA for seven and a half years? Yes, I have been a member here for some time. I signed up but then life handed me one of those re-directs (an intense divorce that took 2 1/2 years). Once I navigated that, got my new home in order and downsized everything- I was needing a break. So I began socializing more, met new people, dated a drummer and followed the band for a few years, I played hard and had a great time, it was much needed. Yup, took 3 years to get that out of my system. I continued my premium membership at WA because I knew it was the course I wanted to follow and I kept thinking I was going to find more time for it soon. About 5 1/2 years after signing up for premium, I started studying and I haven't stopped. There is a lot of valuable information here and I feel like I finally have the basics implanted in my brain to actually put a business together on line. WA really is a great resource and they have advanced so much in the time that I have been here. I believe what they offer is beyond what one could get anywhere else without paying thousands of dollars and numerous up sells. So, I am a slow starter-but I'm on it now. How is it going for you Sharon? 2. (eventually) coming out okay on the other side of it. I agree with everything you said about WA and I think my WA experience is similar to yours. I'm a slow starter, but feel I now have a good enough grasp of the basics to proceed full steam ahead. Hi....thanks for following....there is still do much to accomplish. Thanks for the follow, Deb. Hello Deb, and congrats Premium member. Thanks for connecting, and you have made a very wisw decision to get started! Thank you for adding me to your network Deb and I'm following your success as well. Have a great weekend. Thanks for the follow. Many successes to you. Thank you for adding me to your network. I returned the favor. I am loving my journey, thanks! Wishing you all the very best. Hi Deb - I'm enjoying my journey here as well. Thanks for adding me to your network. Wishing you continued success. Thanks for the follow and hope to work reaching the top together. Hope things are going well for you at WA so far! Hope you are far enough along in your training where you are starting to develop a niche and a website. Thanks for the follow Deb! Best wishes on your continued success here at WA! Best of luck in all your pursuits! Hi Deb, glad I found you through FB and now following you here in this wonderful WA community. Thanks so much for commenting on my site, and for the compliments! If you ever wanna do a comment swap or favor exchange, just shoot me a private message! Good luck to ya, hope to see you around and Cheers! Hello Deb, thank you for the follow, me too you! Hi, Deb! Thanks for the follow and it's very nice to meet you! Thanks for connecting at WA. I have found this to be an incredible journey. I know you will love traveling here! Hello Deb, thanks for following me. Good luck to you on all your projects here at Wealthy Affiliate. Let me know if there is ever anything I can assist with. Hello Deb nice to meet You hope all is well thank you for following me in return I'll follow You. Hi Deb, nice meeting you! And thanks for following me. I have followed you in return. Best of success on your journey! Thanks for following will be following you back. Welcome to Wealthy Affiliate! Thanks for following. I wish you all the best too! Nice to meet you too Sylvia. What a great idea for a website. Wishing you the best. thank you for the follow - hope you are dong well here. Thanks, we can do this. One step at a time. Wow! Already here since 2010! Wish you the best too! Hi Deb, Thanks for following me back. Wishing you great success here in WA. Hello Deb, thanks for following me on WA. Always nice to meet new people. I life in Bulgaria but have Belgian nationality. I looking forward to hearing from you and what are your interests? My hobby’s are traveling, music and a good film. If you like traveling, my niche is the capital of Romania, the city Bucharest. Hi Philip,thanks for the links, I followed you on each. Your website looks great, what a beautiful place. I like good music, organic gardening and traveling. Wishing you the best here. Yeah, those redirects can be real problems, can't they? But now you're on your way. Hope to see you around. Greetings Deb.......and thank you for following me. Wow, you've been here a long time. Best of luck to you as you go forward. Thanks Wayne, Yes I have been here awhile. Soon after I signed up I encountered a few major "re directs" in life. I kept my membership here because I knew this is where I wanted to learn from. Best to you as well, onward we go. Thanks for the follow back. Wishing you every good thing here at WA. Thanks for following back, Deb! Hi, Deb, thanks for the follow. Appreciate the follow. Wish you nothing but success. Wishing you the same, plenty of success. WA is an awesome place to learn. It's onward and upward from here Rich! Lol - Onward and upwards is one my favourite phrases. I use it several times a day on here! Thank you Sue, I wish you the same. Hi Deb, thanks for the follow. I hope you are enjoying your journey here at WA. Hi Deb, Thank you for the follow. Best of luck to you in all you do! Hi Deborah, thanks, for following, have a great year full of success. Hi Deborah, thank you for the follow back! It is a pleasure to connect with you. Onward and upward from here, right? Thank you for the follow! All the best! Thank you for your comment on one of my WA blogs. I hope everything is going well. Hi Deb, welcome and thank you so much for the follow. I wish you every success in your online journey! Thanks, Deb. Did you get my thank you message from GoFundMe? I hope so. If not, Thanks again. Ever donation helps. I received it, thank you. I wish I could do more. Hi, Deb. Welcome to WA! It's nice to meet you. Thank you for following me back. Wish you every success in your online learning business journey! Wishing you all the best of success, Deb! And the best to you as well. We are on the right path here at WA. Hi Justcruzin, thanks for the return follow, if I can be of any help don't hesitate to ask. I am glad my notes from Jay's webinar helped you out. Hello, Deb, just stopping by to thank you for the follow back! I really appreciate it and wish you all the best of luck and joy here at WA! Thank you for following me. I have added you to my network. I too am enjoying my journey with WA. It's nice to connect with you. Good luck with your online business. Hi Deb, thanks for the follow. All the best. I am very much enjoying this journey! Thanks for the follow and I look forward to see you around. Hello Deb, pleased to meet you and thanks for following back. Hello Deb ... thank you for the follow. I wish you the best on your WA journey. Hi Deb and thanks for following. Thanks for the follow, I am now following you back! Ha! Hi Tosh, it does look like I am a shopper doesn't it? Maybe I should get a new pic. I was "bag sitting" for my friends while they continued to shop. The one tiny little "coach" bag is the only one that is mine. Vegas days. Thanks for the note, nice to meet you. Hi Justcruzin, thanks a lot for follow. Deb, I am just about to respond to your comment about my link tutorial so came here to read about you. It does look like you have been busy elsewhere as most of your followers below seem to be quite recent. I was just looking at your website and I think natural stuff is the best way to go. I can't believe how hard it is to get good quality naturally grown fabric. Also getting local quality food can be challenging. Fortunately we can access a lot of local naturally grown fruit, vegetables, meat, poultry, dairy and eggs (free range) here in Tasmania and fill in the blanks with mainland Australian produce. Here is a link to the site we get eggs from. I really like how they have done it. Here's to king size beds (look at their site)! With fabric I love cottons, linen and wool (needed for the winter). But boy can it be hard to find quality wool. And this from a country that 'grew on the sheep's backs'. In your website blog I noticed a few spelling mistakes so a re-read might be a good idea. Have you given thought to doing quality cotton sheets. I find it almost impossible to get sheets and pillow cases (these twist so much that the pillow escapes most nights) that don't twist due to poor cut. As you are, my mum was a seamstress so I do know a bit about fabric. I actually started making my own sheets but find it hard to get decent material. By the way enable your comments on your posts (and pages if you like) as I would have put most of this as a comment on your site! Anyway back to what I was looking at and keep in touch. Sending a PM to you. Hi,thanks for the follow. Best wishes on your return. Thanks for the follow. Good luck with everything! Thanks for following me. Have a good day. Thanks for the follow. :) Nice! Hi justcruzin, Thank you for the follow. Best of wishes to you. WA - Welcome back to the family! It looks to me, because you are here, you do know the value of getting it together in the most comfortable wealth building community you will need. You clearly do have what it takes to develop an additional income stream that free your lifestyle and bring you to realize the true value of the abundance mentality. HI, thank you for following me. Glad to know another member of the WA family. All the best. Thank you for following me. Welcome to Wealthy Affiliate! Remember this is a community of online entrepreneurs willing to help each other out. Any question you have please do not hesitate to ask any member. Hello Deborah. Thanks for the follow. Now that you're diving in I wish you much success. Thanks for the return follow, Deborah, great to welcome you to my network! Hi Deborah and thanks for following. I will of course follow you in return. Good decision to jump back in! Thanks for the follow. Welcome back and good luck with your digging in. Welcome back. Glad to see you didn't get discouraged and knew the importance of coming back. Hi, and yes, I am inspired here! Best wishes! Thanks for the follow Justcruzin and best wishes to you and your family. Hey Deborah, Great to see you got back into the WA groove. If I can be of any assistance, drop me a line. Nice to meet you. I wish you success with your online business and I know that it takes a little time to reach our goals. Thanks for the follow Deborah and welcome back! Well, there are plenty of other avenues besides amazon. Thanks for the info. here is a link for a training that I just ran across. Relevant Affiliate Programs are Everywhere There are many others besides Amazom. Hello Deborah, Welcome back! Nice to meet you, I wish you a lot of learning pleasure and fun on WA. Thank you for following me. Thank You Loes! I will check out your trainings, right now I am stuck on figuring out how to make changes on the home page. Shop til you drop! JUSTCRUZIN nice go see you recommitting your time and energy to you IM goals. May it result in some more shopping cash!!! That's funny! 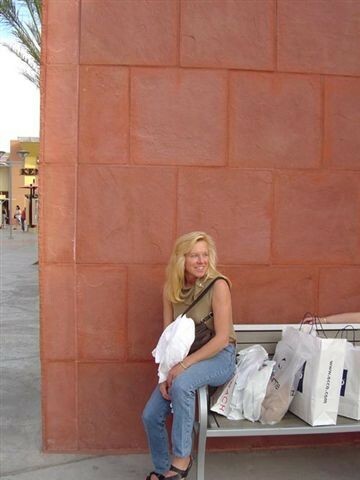 I know it looks as though I am a shopper, I was actually "bag sitting" for friends who were still shopping and had bought more than they could carry. My only purchase was a key chain. Hi! Thank you for following me. I can totally identify with your profile statement about getting back on here to actually dig in. Things can get soooo busy. Looking forward to following you and getting inspiration from your success. Happy New Year! Deborah, I see you are making some good progress through the Affiliate Bootcamp. Just wanted to pop by and see if you need a hand with anything? Anyways, just checking in. Get back at me if you need anything Deborah. I am not understanding how to use WP. Comprehension avoids me. I will go through another tutorial tomorrow after I rest my brain cells. Thanks for reaching out, I really appreciate it. We were all green to WP at one point along the way, you will get the hang of it as you move forward and if there is any particular area where you are feeling stuck, let me know and I will be happy to help you out here Deborah! Ok Kyle. I really do need a hand, been working at this for weeks now. I need to get my home page correct so I can move on. What part of your homepage are you having difficulty with? What is your website URL? Which default stuff are you referring to? You can usually manage any of these within your Appearance => Themes under Customize. under the pic of the computer at the top it says "this is the action text area" "your button" and the pics of a lightening bolt and a bomb. This must be part of the settings...I am not too familiar with this theme, but it has to be in the customize section somewhere. There might be some support on this on your actual themes website. That link takes me to a site to become a member and buy themes. I just want to fix the one I have or install a new one that I can get help with if necessary. Yeah, that is their link to their site. Is there any help or support on their site? I am not finding any. You may want to consider switching your theme then, some themes end up becoming a headache as this one is and wasting so much time. The emphasis should never be on managing your theme and trying to figure it out, rather creating content. Deb, welcome back to the WA community. Thank you for joining my network. Hello Deb, thanks for the connection. All the best. Thanks very much for the follow. Good luck with WA and all that you do. 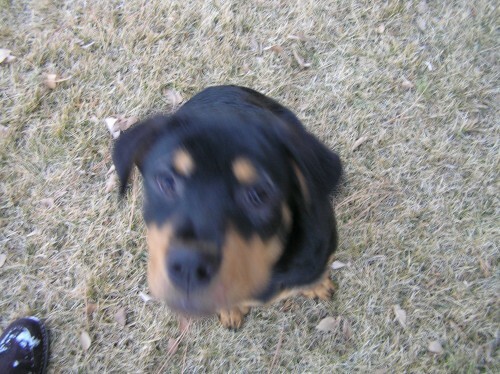 Hiya Deb, thank you for the follow... bettin' ya' that is one sweet pup, ey? I remember Cruising back in the day, Now its illegal. Those were fun times but so is today. Dig in and get ur done girl. Also thank you for the follow here at WA. Wishing you the best in everything. I think there is a bit of James Dean in all of us. Some of us more than others but that is what makes folks fun. Let me know if you can use any help, I'll do what I can and there is a few in my network here that are off the hook on this online stuff. Reading some training now. Hi. Thanks for the follow. Good luck jumping back on! HI JC. Thanks for following me! Thanks for following me back. I wish you great success! I wish you the very best in your renewed WA journey. Hi, and thanks for following me. I wish you the best luck. Everything we need is here, and plenty of help. Wishing you the best! Thanks Larry, it is going very slowly, but I believe persistence pays off. Hi, thanks for following. Best of luck. Thanks for the follow.I wish you all the best and much success. ... it's a real pleasure to meet and be part of your network - I'm glad you've come back! Thanks for the follow. I like your sites, best wishes on your business. Hi Justcruzin, welcome to WA and thank you for including me in your network. If you need help at any time, please do not hesitate to ask. Thanks for the follow, justcruizin. You may be just cruising now, but I believe after you really do "dig in", you are going to be doing a lot more than just cruising. That is a very peaceful name tho'. I like it and I wish you the. Out success here and all across your life. Thanks Dan, I workin on it! And all the best to you as well. been working for the man to long. Cast off the bowlines, set sail from the safe harbor. Hi Michel, thanks for the encouragement, I appreciate it. You have a way with words! Thank you for the follow and many blessings to you here at WA. If you have the time or wish to, please check out my training (Bottom Right Blue Button) on my profile page. I explain ways to help you build a better website, ways to make some extra $$$ with your WA training, and best practices here at WA. I also post a humorous blog every Sunday. Enjoy! Sparky says thanks for the follow! Hi there, certainly told this old dog some new tricks...thanks for following me, I've followed you back. Hi Justcruzin! Thanks for the follow and welcome to WA. A Little Pot raised my spirits!